When sustainability took the world by storm in the last few years, it didn’t leave the kitchen too far behind. Sustainable/ Recycled products are becoming increasingly popular in kitchen decor. 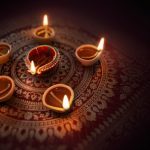 Eco-friendly cabinetry made from ply and bamboo, mosaic countertops made from recycled glass, brass décor such as period lamps and lights are all being increasingly used in modern kitchens. 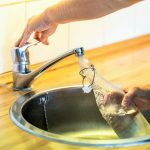 Water conserving faucets and energy saving lights are also helping homeowners save money, while reducing dependence on natural resources, without compromising on style. Kitchens today are not just functional spaces that depend on simple lighting to get by. 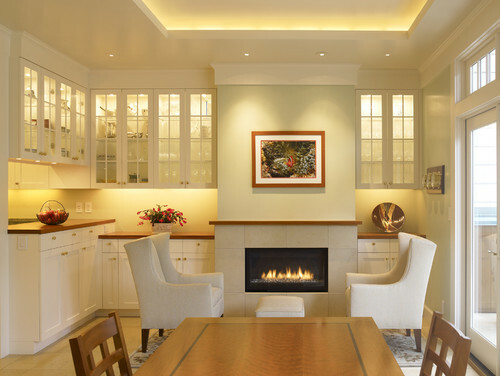 They instead use a layered lighting approach; a series of recessed fixtures that provide ambient light, elegant chandeliers and pendants for focussed lighting and accent lighting for cabinets or to highlight special kitchen areas. 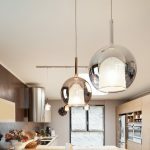 This multitude of lighting options allows you to instantly convert a functional kitchen into an intimate dining space or a simple nook into a festive corner. With more and more people showcasing their food preparations online and many others bringing work home, kitchens are seamlessly merging with work stations to provide a space that is simple, utilitarian yet functional and warm. Speciality workstations are now a part of many modern kitchens, some popular examples of which include coffee bars, baking stations, wine tasting nooks and pizza-making stations. Today’s homes are minimalist, classy and elegant, and kitchen décor in keeping with them, has become sleeker and trendier. 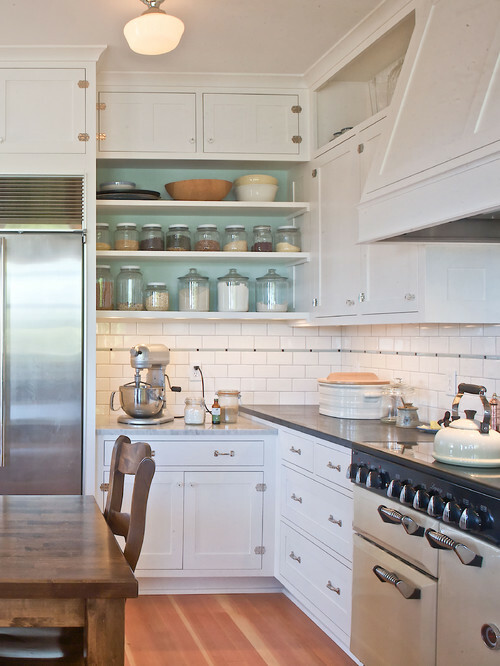 These design concepts will ensure that your kitchen and home, stay on top of the latest trends.